In this day and age it feels like there are more superfoods than there are species of lizard. From kale, quinoa and kimchi, to avo, eggs and goji berries, you don't have to break a sweat searching for a source of these delicious and nutritious goodies in Melbourne. To meet the growing demand for all things superfood and clean-eating related, Melbourne's best cafes have ensured they cater for the increasing number of health-nuts among us. 'Breakfast Salads' or 'Brekkie Greens' is a dish now appearing on the menus of most cafes in Melbourne. When done right the humble breakfast salad quashes two common misconceptions – 1. You do in fact win friends with salad, and 2. You can totes have salad for breakfast. So, without keeping your tummy grumbling any longer, here's where to go for the best breakfast salads in Melbourne. Whilst we tend not to pick solitary favourites when bringing you these 'best of' stories, we just might have to bend the rules this once. This is our FAVOURITE breakfast salad in Melbourne. The Brekky Greens at St Edmonds consists of a dressed mix of raw broccoli, shredded kale, buckwheat kernels, pistachios and fresh chili with two poached eggs (oh, and you can add pulled pork if you're so inclined! #alwayssoincllined). Barry is almost always a worthy mention when it comes to anything superfood related, and their breakfast salad is no exception! 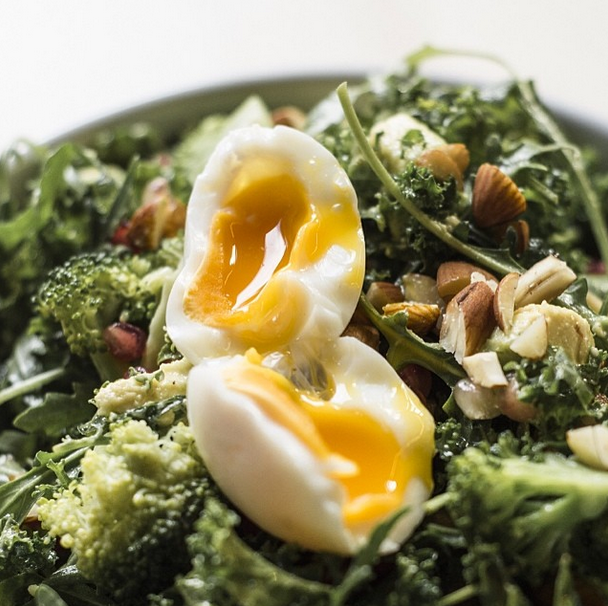 With a dish that boasts raw broccolini, kale, avocado, black pearl barley, chili, basil, activated almonds, coriander, pepitas, chili, and a soft-boiled egg, Barry gets a nod for one of Melbourne's best breakfast salads. Suburban gem Merchant's Guild has a 'Super Salad' with brown rice, quinoa, sweet potato, baby beetroot, broccoli, nuts and seeds topped with tahini yoghurt and black rice popcorn (with the option to get a little fishy and add house smoked trout). An Urban List favourite, Oscar Cooper's breakfast greens are the perfect mix of kale, spinach & black cabbage on goat's curd with golden sultanas, hazelnuts, roasted cherry tomatoes & poached eggs. Nom. One of Melbourne's best paleo cafes, Patch delivers a moreish breakfast salad with kale, avocado, broccoli, pomegranate and almonds with a soft poached egg to top it off (it's so healthy that adding a side of bacon is almost mandatory). With a well earned reputation as one of the best cafes in Melbourne, Pillar of Salt outdoes itself with the AM Salad – ancient grains, roasted sweet potato, pomegranates, puffed amaranth, roquette, poached egg & citrus yoghurt dressing (10 out of 10 humans concur that a side of pancetta should always be ordered). You'll be energised for the entire weekend with this superfood party in a bowl. Touchwood's Morning Grain Salad is a delicious, protein fuelled mix of quinoa, freekah, wild rice, rocket, toasted almonds, chai soaked raisins, cumin yoghurt with a poached egg to finish it off. With some of the best breakfasts in Melbourne, Touchwood is typically chock full of TUL staffers each weekend. Who doesn't love a serve of green eggs and ham? Well, minus the ham in this case, The Farm Cafe's Green Eggs are still delish with broccoli and almond pesto, spinach, quinoa, herbs, poached eggs, parsley aioli and crispy fried onions. Oasis Bakery is a Melbourne institution, having served the punters spectacular Middle Eastern fare for years. The Supergrain Breakfast Salad is a mix of warm supergrains & leafy greens, almonds & currants, two soft-boiled eggs with saffron yoghurt. You'll need all the protein-induced energy you can get before taking on the shelves of Oasis's bakery and deli – we can get lost grocery shopping here for hours! The perfect amalgamation of ingredients, Seven Seeds serves a smoked carrot breakfast salad with baked ricotta, walnuts, a pickled carrot aioli and poached eggs. It looks almost too good to eat …but we trust you'll manage! Whilst perhaps not adhering to the 'superfood' category, we still had to include this delicious breakfast salad option. Lucky Penny has a potato, pea, cucumber and herb salad with citrus cured salmon and a poached egg. 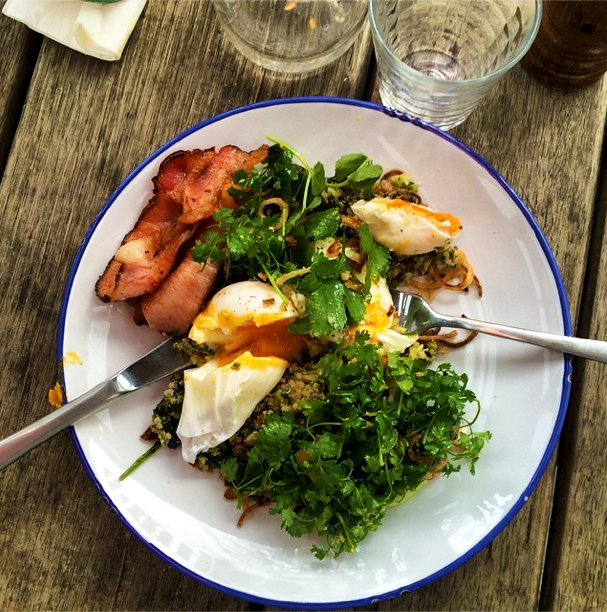 So there are our picks of the best breakfast salads in Melbourne. Go get your health on, Listers. Main image credit: The Urban List Instagram.